Save BHD 16.47 (30%) – Earn 37 Shukrans What is Shukran? Shukran is the Landmark Group’s award-winning loyalty programme in the Middle East, which allows you to earn Shukrans when you shop any of our brands. 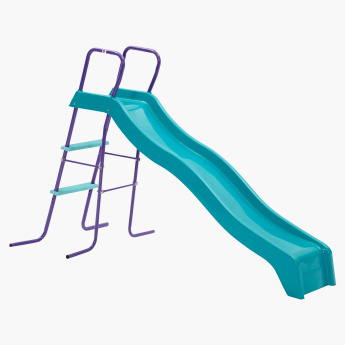 Made to be fun and entertaining, this slide has a wave-like design. It features a four-legged configuration that adds to the stability of the swing. Owing to the make of the frame, it offers to be ultra-durable.